September 6th, 2017 isn’t a day the people of Tortola will forget anytime soon. Hurricane Irma, a Category 5 storm, laid waste to the island with winds of 200+ mph at its core. Tortola, along with the rest of the British Virgin Islands, took a direct hit and the road to recovery is finally reaching the light at the end of the tunnel. 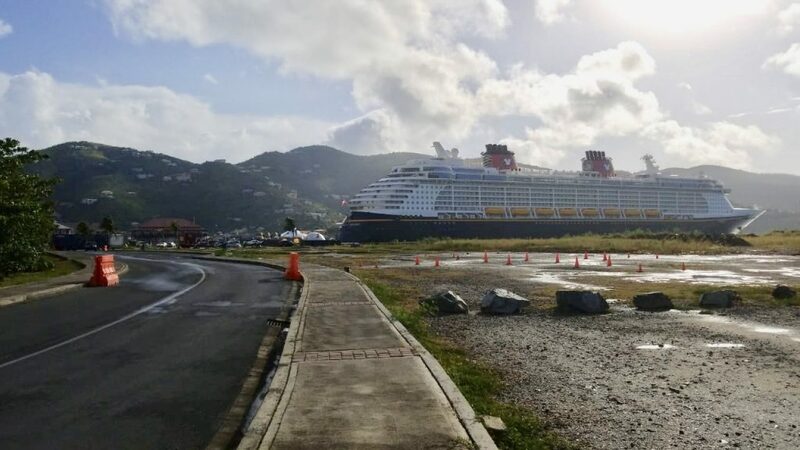 Disney Fantasy became the first cruise ship from Disney cruise line to return to Tortola post-Irma and it’s a welcome sight for an island looking to rebound back from what was one of the most dangerous and destructive storms ever recorded in the region. For the 30,000 people living on the largest island in the B.V.I. chain, the sight of a cruise ship marked a significant milestone in their efforts to return their beautiful island back into the paradise it was prior to the storm. Even with assistance from numerous aid groups and support from British armed services, the road to recovery hasn’t been easy. The wind caused significant damage to homes and businesses while the rain washed out roads and left countless boats stranded on dry land after the waters subsided. Though the port officially reopened in November of 2017 following the storm, Disney Cruise Line, along with Norwegian Cruise Line, rescheduled their itineraries while the island rebuilt their infrastructure. Vacationers sailing with Norwegian will make their return to the island this October. Numerous celebrations and events were found at the port Tortola for the ships docking including an appearance by Miss World BVI 2018 Yadali Thomas Santos. Those disembarking were treated to traditional island music, dancing, cuisine and more. Check out the video below! Disney Fantasy, the newest ship in the Disney fleet, is no stranger to being the center of attention. The ship was christened by its godmother Mariah Carey while Neil Patrick Harris and Jerry Seinfeld performed at the ceremony.